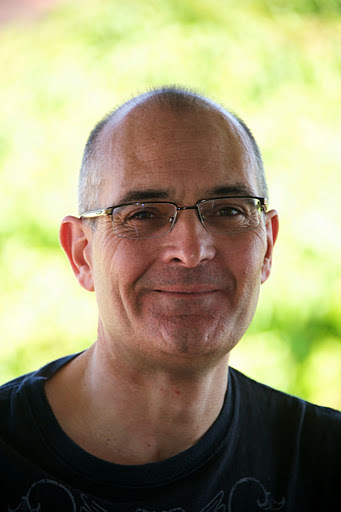 In part 2 of my interview with Rocky, he talks about how he became involved with the Horror Writers Association, his struggle with Motor Neurone Disease and his forthcoming authorial works. 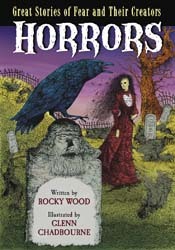 How did you get involved in the Horror Writers Association? When I realized my foreseeable writing future was going to be tied to the horror genre I decided to join the premier writers’ association for that genre, which is of course the HWA. I was welcomed whole-heartedly and immediately. Quite soon thereafter I got a Bram Stoker Award nomination for ‘Stephen King: Uncollected, Unpublished’ and so I decided to travel to Toronto and attend the Awards. Again, a whole-hearted welcome and I made friends that weekend who are still my good friends in the community today. I am not one to join and watch other people do work. Over the years I have had leadership positions in political parties, environmental groups, sporting clubs, and organisations like the Australian American Association, mostly when I get involved its ‘boots and all’. So, when I decided to help HWA it was going to be all or nothing. The first time I ran for Trustee I failed to get elected (yikes!) but I didn’t give up and was elected the following year. Two years later I was tapped for President, presumably on the basis of my efforts. What many people don’t realize is that today’s HWA is delivered to our members by about 100 (yes, one hundred) volunteers, all working away quietly in the background. They range from the Board to the Web team, through the Juries and on to areas like the Membership Committee and the Bram Stoker Awards Committee. I credit any success the HWA has had in recent years to its leaders (such as Deb LeBlanc, Vince Liaguno, Marge Simon and Lisa Morton) and to all these volunteers who believe in our mission enough to give up their spare time (and writing time at that!) to help strengthen the Association and deliver our daily needs. And that’s lots more in the planning tray by the way. Horror has been a massive part of your life…does it still have the same meaning today? It’s changed so much with the evolution of the e-book. Where do you see its future? That’s the $64,000 question, isn’t it? Horror is the original genre, probably the original form of oral story-telling around the cave-people’s fire. It’s not going away, ever. The e-book (and I believe that is only in its infancy) won’t change the basis of the genre – which is story. It just changes the delivery mode, making it even more accessible. It has its dangers – there’s some real crud being self-published, but that will self correct and there’s plenty of really good material coming to light in ebooks that wouldn’t have got published in print. The ebook has so far to go – the inclusion of hyperlinks, research material, still graphics and live video, all of which will enhance the reader’s experience. And I am one who believes the printed book will never leave us (maybe I’m an optimist) – even if it means people will use Print on Demand to buy a book they treasure and want to display in their home or office, after they read it electronically. All change brings both opportunity and challenge, and the same applies to the horror genre. We must try to stay with the curve without over-reacting or missing our chances. We can experiment and fail, that’s okay. To me there are more than enough horror writers and small press publishers to try out all the new opportunities as they come along. Some will lead, some will follow, some will wither away. That’s life. Last year Horrors: Great Tales of Fear and their Creators graphic novel was published by McFarland, with Glenn Chadbourne as artist. How did the idea come about – and why a graphic novel? The publisher approached me to write a ‘graphic novel’. Apart from one short story I had never published any fiction, and I had barely attempted to write any. And I told them so, but they were very insistent and asked me to pitch any idea. This one came out of nowhere – the idea that the great horror tale may not be as unplanned as we might think. I delighted in being able to go back to Mary Shelley’s, Poe’s and Stoker’s original material (among other authors) and present them again, much as they were written (our ‘memory’ of ‘Frankenstein’ or ‘Dracula’ is infected by the various pop culture adaptations) and to weave in the true lives of their creators. Most of these people lived lives full of tragedy (as did most people all around the world before say the end of the Second World War). To bring that to the reader’s attention and weave it into a storyline was a lot of fun. I knew Glenn Chadbourne through the King community (he has illustrated King on a number of occasions, most spectacularly with Cemetery Dance’s, ‘The Secretary of Dreams’ series). Strangely, Glenn and I were born on the same day in the same year, he in Maine and I in New Zealand. And I was lucky enough to visit him in Maine, stay with him, and enjoy a wonderful lobster dinner while we were working on the book. He is possibly the most brilliant horror illustrator working today and it was a great honor to have him illustrate my prose. And he’s just a wonderful man to boot! Do you have “another” favourite author? Tricky question that. I read widely in areas outside horror – particularly biography and history. I have a few historians I read every time their work is published (eg, Martin Gilbert) and I still love to read my old fiction favorites like John Irving (who gets better by the book). I particularly enjoy Simon Winchester’s books, which are a mix of geography, geology and history and full of obscure and interesting facts. Late last year you were diagnosed with Motor Neurone Disease, which degrades the muscles and is invariably fatal, yet amazingly it hasn’t affected your passion as an author and HWA ambassador. How do you manage it? Yes, I was. When you are told you have a fatal illness and there is no hope of recovery or survival you face that moment of truth. You can curl up in a ball, you can limit your horizons to your family and friends (a very valid choice), or you can continue living life just as before. That last was my choice. I have always lived life ‘big’. I’ve had a great life – lots of travel all over the world, great friends and wonderful family, and many ‘communities’ in which I have participated (politics, sport and horror among them). I had been fortunate enough to see my favorite sporting teams play in great stadiums – the New Zealand All Blacks at home or at Cardiff, Manchester United at Old Trafford, the Boston Red Sox at Fenway. I’d made friends at conventions all over the world – including in the old Yugoslavia. I’d traipsed archaeological sites in the jungles of Mexico with my friend, Erich von Daniken (author of ‘Chariots of the Gods?’). I’d met political, sporting and artistic leaders and worked for the causes I believed in, such as the Australian-American alliance. And now I was being told that within 2-5 years I would be dead, and that my body would slowly give out in a manner that meant I would lose my ability to speak, walk, type and finally move at all. So I made that choice I mentioned and I also chose not to be defined by the disease. I would define IT – for me at least. In the time I had left I would continue as much as my normal life as I could and I would actually fit in many of the remaining things some people would call a bucket list (I hate the term). So I travelled to Egypt and Lahaina (Hawaii), I worked on a couple of books, I tried to spend even more time with family and friends, I went to see Manchester United play in a European final at Wembley, visited Auschwitz and the D-Day/Normandy battlefields, and saw my beloved All Blacks once again crown champions of the World (and in our homeland at that) and so on. And I am throwing my last best efforts into helping the HWA be a better and more sustainable organisation for my Presidency. I had been elected only months before I was diagnosed and took up the role only eleven days after I received the news. Hopefully, by the time I stand down, we will have grown our membership even more (we are already up from 400 odd to over 650 in a year); we will have bedded down the Jury process for the Bram Stoker Awards; we will have set manuals and processes in place for our major operating areas like the Web Team, the Stokers and the Board; we will have relaunched our Chapters; we will have a whole new website; and we will have delivered on a number of events like the Bram Stoker Awards Weekend last June on Long Island that received high praise from the horror community. We will have an HWA that continues to be grow and be successful long after I am gone. As to writing, I had a couple more books in me that just had to be delivered. You know how it is – you don’t really have a choice! To answer your question, I guess I have always lived life with passion and I don’t intend that to change just because my body is failing me. You’ve had a few of your works on King republished as e-books…any new books – King or otherwise – on the horizon? This is a history of the witch persecution craze that infested the ‘Western world’ from about the 13th century into the 17th, before Reason prevailed. It doesn’t seem to get much discussion in the popular literature world and we thought it was worth going back and trying to explain what happened and why. ‘We’ of course is myself and Lisa Morton (the Bram Stoker Award winning author), who just happens to be Vice President at the Horror Writers Association and nd it’s illustrated by a particularly talented Australian from Rockhampton, by the name of Greg Chapman. Perhaps you know of him? I am immensely proud of what the three of us have delivered (yes, it’s all but finished) and look forward to seeing the printed work when McFarland publish it early next year. Rocky, your creativity and resilience in facing challenges are remarkable and inspiring. I truly enjoyed getting to know you better. I especially admire the way you're handling your illness. If it's going to be there, let it be…you'll go on being the Rocky Wood you are now. Good luck. Greg, the interview gave justice to different aspects of Rocky's life and creativity. Thank you for sharing it!